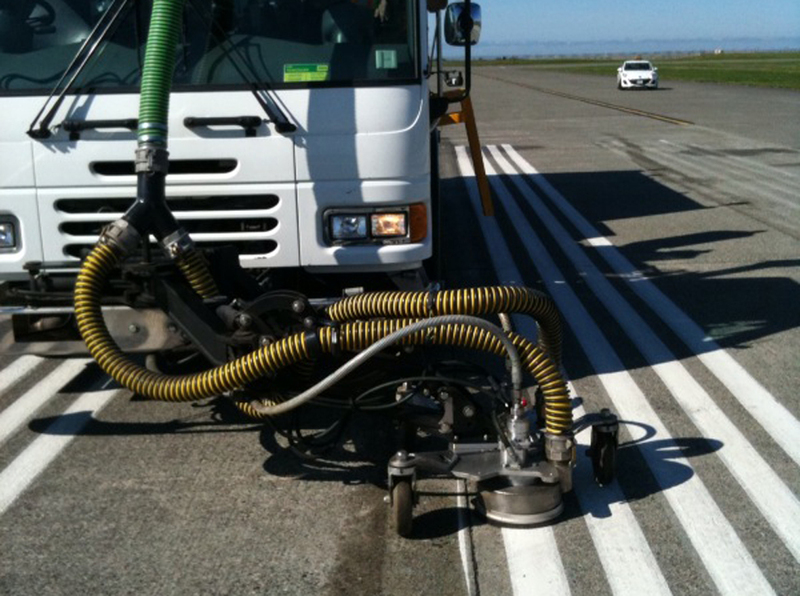 The advantages of Ultra High Pressure (UHP) Hydroblasting for the removal of pavement markings is significant for Municipalities, Highways, Airports and bridge deck preparations. UHP hydroblasting cleans and removes all types of durable pavement markings more efficiently than abrasive methods and without significantly damaging the surface. 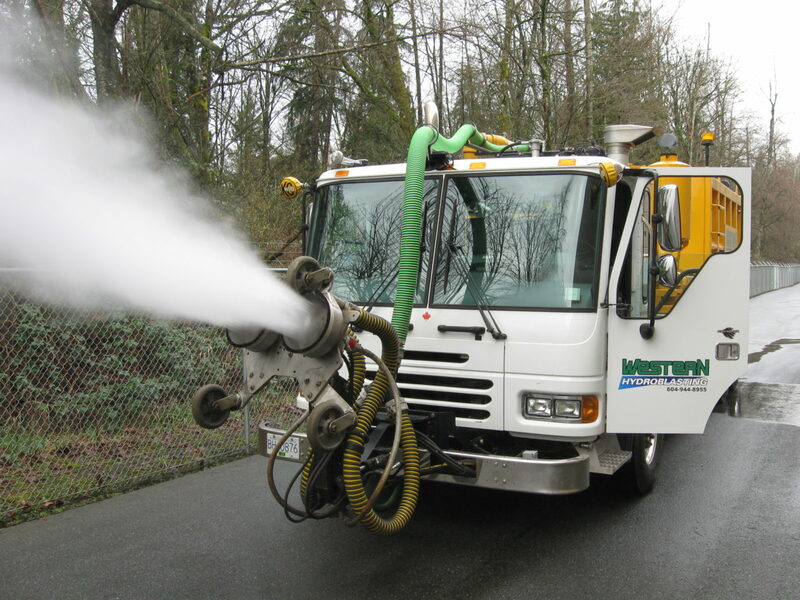 The needle sharp jets of the hydroblasting system are equally effective on either concrete or asphalt, removing paint trapped in the micro-texture of the surface as well as paint in grooves. Since only clean water is used in the removal process and vacuum recovery is immediate, the environment is completely protected from dust, chemicals and other contaminants. Simultaneous vacuum recovery also simplifies the clean up, leaving a clean and nearly dry surface. Hydroblasting with our integrated UHP truck mounted system is more productive and less invasive than other removal methods and has the additional advantage of operating with a single truck and operator. 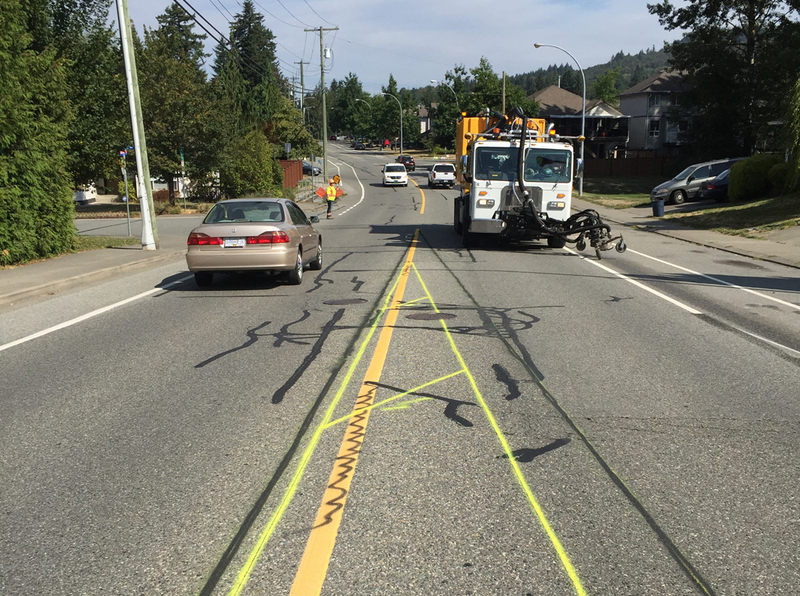 As a result there are less vehicles and manpower required on pavement marking removal projects, lowering costs and reducing safety risk. UHP hydroblasting is an efficient, economical, and environmentally safe alternative to traditional methods of surface maintenance. Copyright © 2019 Western Hydroblasting.